What would you buy with $7,500? A first class ticket and a week long stay in Fiji? A new pair of shoes ... or several? A bunch of high-end massages? That's how much you'll need to spend in the first three months to earn the sign-up rewards on the revamped Citi Prestige card announced this week. Charging $7,500 in three months will get you 75,000 sign-up points. Card members also get a doubling in redemption value of points to cash. And according to the offering, the big "score" is a fourth night free at hotels through a streamlined online process. "Depending on how often you travel and how nice the hotels are where you stay, that could be a fortune over the course of a year," says Matt Schulz, senior industry analyst at CreditCards.com. The upgraded benefits are also accompanied by a new, metal card. While the perks are good, they certainly don't come cheap. "Simply put, that minimum spending threshold is really, really high," says Schulz. "The vast majority of Americans -- even many folks who regularly chase after credit card rewards -- couldn't spend $7,500 on a credit card in three months without some risk." Typically, says Schulz, you have to spend $4,000 or $5,000 to get the sign-up bonus on a high-end credit card. The previous version of this Citi card, for example, offered 40,000 points for $4,000 spent in three months. That's doable for the upscale consumers these cards are targeting, but can be a bit of stretch for many others. "The Citi Prestige's $7,500 minimum spend makes this sign-up bonus out of reach for all but the highest of high-end cardholders." Oh, and the card also charges a $450 annual fee. But, according to Citi, there's a market for this kind of card. A vast majority of households with incomes of $150,000 or greater that have rewards cards, use rewards points to cover all or part of their personal travel, according to Citi's own research. But most Millennials seem to be putting their money elsewhere. Young people's spending is largely devoted to groceries, dining out, gas and cellphone service, according to a new Bankrate study. This group of people spend $2,300 more per year on those categories, on average, than older generations do. As a group, young people spend less on travel and television than other generations. "[Citi] is clearly targeting a subset of upscale Millennials that these banks want to do business with in decades to come," says Schulz. Assuming they aren't deep in credit card debt. "No one should ever overspend just to get credit card rewards, no matter how lucrative those rewards might be," says Schulz. "It's just asking for trouble." For most people, a cash back card -- that pays you back when you're buying groceries, filling up with gas or having a dinner out with friends -- is the better way to go, says Schulz. 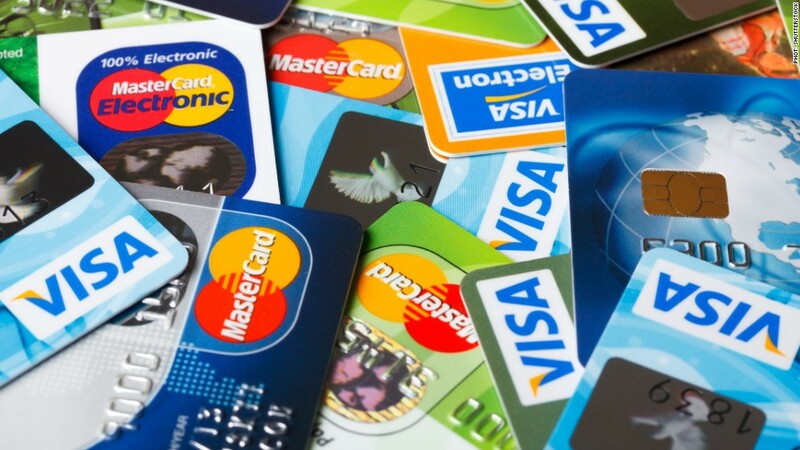 The good thing about most of these cards, is that they have no annual fee. "Use it once for a big purchase, get the sign-up bonus, pay it off, then throw it in a drawer," Schulz said. Be sure to leave the account open to help your credit. "That's the way to use a card every once in a while to great effect."